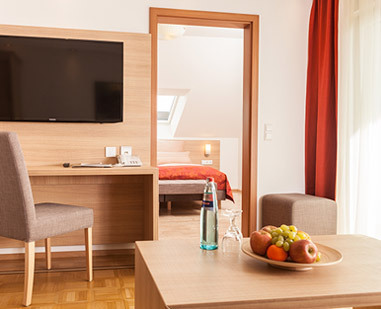 The Hotel Alemannenhof offers you room categories ranging from standard SGL to spacious suites. 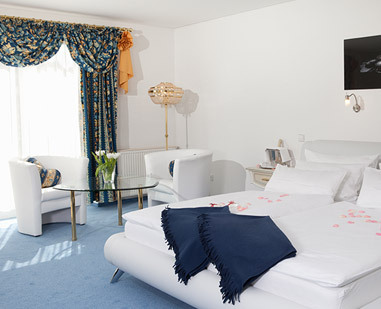 All of the hotel’s 56 rooms are newly decorated and equipped with WC, bath or shower, satellite TV and direct-dial telephone. Partly air-conditioned. 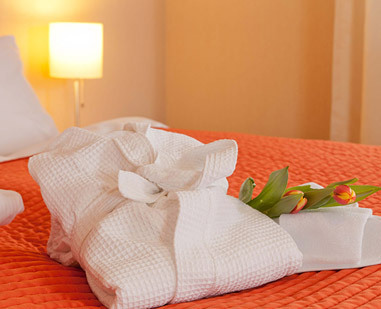 We offer three disabled and allergy friendly rooms. 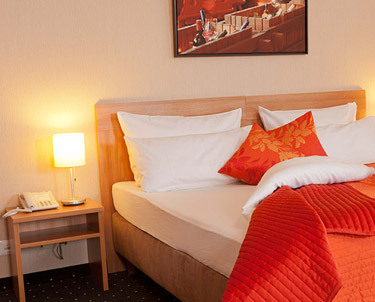 All rooms have free Wi-Fi access - laptops are available on request. Service charge and statutory VAT. Newly renovated, modern style, electric blackout blinds, approx. 34 m². Maximum occupancy: 4 people. Newly renovated, modern style, electric blackout blinds, 29 m² - 40 m². Maximum occupancy: 3-4 people. Newly renovated, modern style, air-conditioned, electric blackout blinds, 55 m². Maximum occupancy: 4 people. Newly renovated, Italian style interior, air-conditioned, 38 m². Maximum occupancy: 2 people. Newly renovated, modern style, electric blackout blinds, 42 m². Maximum occupancy: 2 - 3 people. Newly renovated, modern style, electric blackout blinds, 18 m² - 26 m². Maximum occupancy: 2 people, additional beds available in some rooms. Newly renovated, modern style, electric blackout blinds, 11 m² - 18 m². Maximum occupancy: 1 person. Ground-level, with south facing terrace, some rooms with disabled access 23 m² - 31 m². Maximum occupancy: 2 people, additional beds available in some rooms. Please inform us if you wish to be collected from the airport or train station. We would be pleased to organise a transfer service for you.